Spend a day filled with adrenaline and fun. Book now the extreme adventure tour in the Mayan jungle with Globol. Combine the majesty of swimming in the waters of an authentic Mayan sinkhole (cenote), and the energy you’ll get by going through paths among the jungle on board of an ATV. You will also try the zip line, to feel pure adrenaline and fun through the air. During the tour, we will provide you with all the necessary equipment to perform all the activities of the day, and all the tricks and tips to get the most out of this amazing day! To start your day, you’ll go through a set of different hanging cliffs and zip lines. You’ll have to use all your skills to finish the trip among the trees and sliding over a 300 meters line, which is one of the longest across Riviera Maya. After getting off the zip lines, you’ll get into the Mayan jungle, crossing its different paths and observing the flora and fauna of the area. 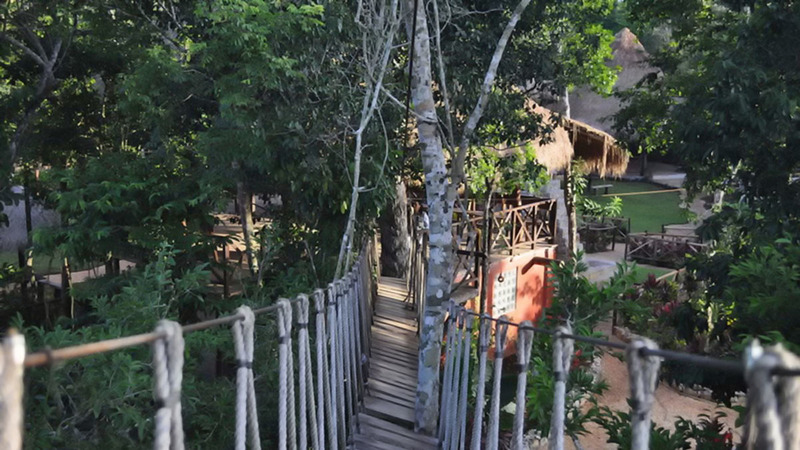 Next, you’ll jump in an ATV’s and get an amazing 6 KM tour inside the jungle and its paths, where you’ll discover the “Chilam Balam” cenote and its half-open shape. Mayans considered sinkholes as a sacred place being their closest connection to the underworld. Enjoy a refreshing swim in the crystal clear waters of one of them to finish your day and reach some deserved relax in this uncontaminated paradise. Pick-up and drop off at your hotel or apartment. Please contact for more details.